Here is my second fully finished Space Marine Tactical Squad for my Mentor Legion army. The squad is built up from my collection of grey plastic from the Assault on Black Reach, Dark Vengeance, and Tactical Squad. By combining the different kits you can make them unique and change-up the static poses from the starter kit. This squad is led by Brother-Sergeant Iani Tulrosi which is from the assault on black reach set with an arm swap to give him the power axe. This helps create a unique look from the start set and more natural than the straight up sword. I also added a thin piece of plastic to his collar to create a Mark VIII look. 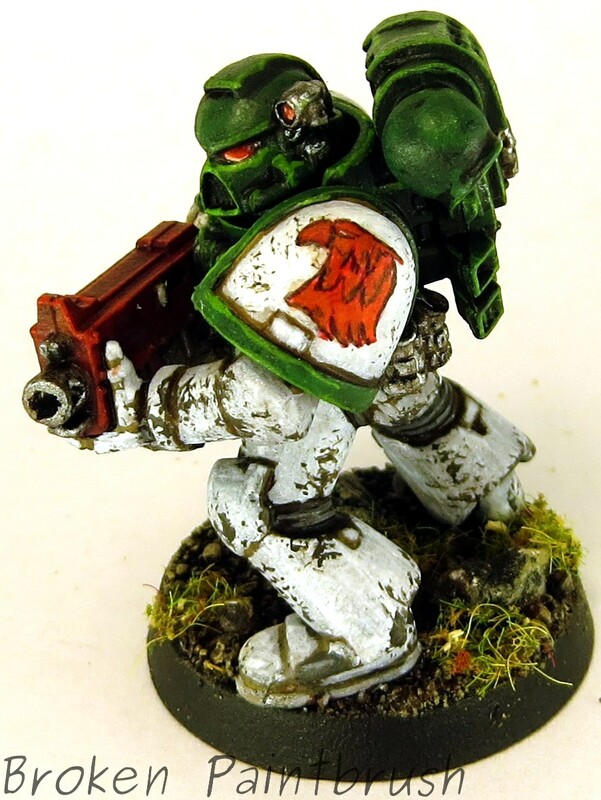 As with squad three, many of the squad member are from the starter sets and required hand painted legion markings. You can see below on Brother Cith Cheven’s amour the final outcome of using the transfers as a starting point. I then added yellow stripes and marking to identify them as the Second Company. Here again is brother Tulrosi with his power ax and pointing at the enemy (like any true leader would!). Also you can see here the gothic 2 to note them as the second squad. I used the decal sheets to get the look and started with a very light outline with watered down grey. After getting the look right, I go back with the darker grey/black. 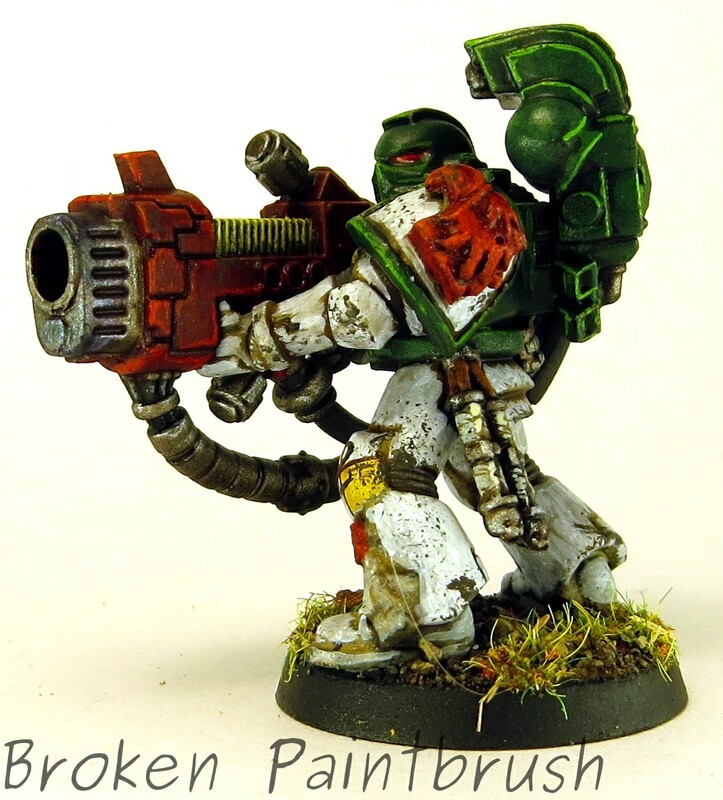 And a close up of brother Quol Valulaith with his Plasma cannon. 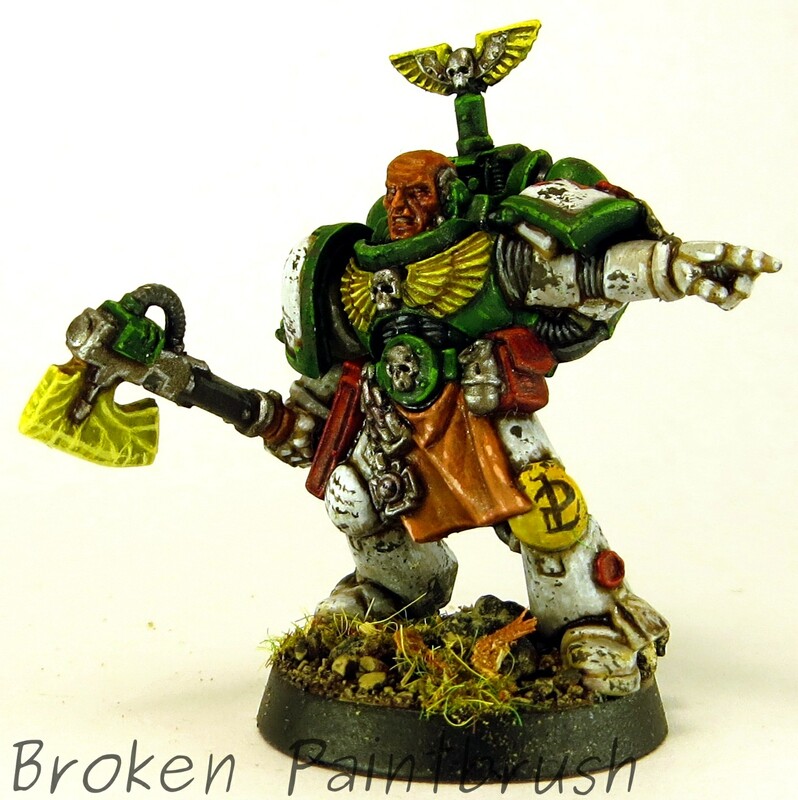 He is from the Dark Vengeance set with the Angel markings removed and the Mentors symbol added. This one I tried a press mold which is why it sticks out a bit more. Next up some HQ to lead these foot sloggers. Update: replaced images with higher res versions. Seems uploading pictures from my phone automatically shrinks them!